Few regions of the world have been praised as frequently as North Europe in recent years. One day the news is all about the best work-life balance in the world (Denmark), the other day we hear about the best school system in the world (Finland), the happiest nation of the world (Norway), or the best country for women to live in (Sweden). 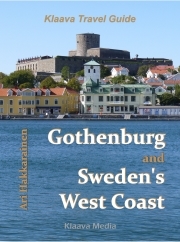 This book focuses on the northernmost countries in Scandinavia: Finland, Norway and Sweden. If you want to discover what the secret sauce of those nations is, this is a good place to start. We have selected chapters from travel guidebooks, cultural guides and even from a cookbook to show you some of the many tourist sights and cultural curiosities of the North. Authors Kim Anton, Erin Dahl, Ari Hakkarainen, Kari Ojala, Russell Snyder and Soile Varis have contributed sections from their books to this collection. The countries are large and varying in geography: everything from the sea, archipelago, vast forests, mountains, fells, lakes, and fjords to marshlands establish the natural environment. Most people live in capital cities and regional centers, leaving the great outdoors wilderness for all of us to experience. Each country has its own language and culture. Swedish, however, is the common language for these countries. Today, English is widely understood everywhere in the Nordic countries as the school system has been teaching foreign languages (often multiple) for decades. Cultural differences between Nordic nations are obvious, but from traveler’s point of view not dramatic. Cultural differences between Nordic and other European nations, however, can be surprisingly wide, but that’s where a guidebook can help. or get it from Instafreebie.